So you need to write a letter or email in Spanish? The good thing about letters and emails is you have time to think about what you are going to say. The bad thing is sometimes the language is very particular. If you think about letter and email correspondence in English you see vocab not used in everyday speech – words like sincerely, best wishes, or to whom it may concern. Spanish has it’s own versions of these and other expressions used in written correspondence, some similar to English and some not. Find below the most common terminology used for letters and emails in Spanish, along with a final summary and example emails at the end. Keep in mind differing levels of formality, because it affects the appropriateness of which greetings and sign-offs to use — usually we don’t want to tell our boss ‘kisses’, or our significant other ‘best regards’. In addition, some of the phrases include possessive adjectives tu or su which translate to ‘your’ in English or the indirect objects te or le which mean ‘to you’. These are interchangeable depending on how you choose to address someone. When addressing someone informally (tú), use tu and te. When addressing someone formally (usted) use the adjective su or le. Use formal terms when talking to your boss or future employer, business relations or people you haven’t met etc. Use informal terms when talking to a colleague or acquaintance, peers etc. Only use these terms when talking to someone you know very well, as in significant others and close friends. Starting an letter or email in Spanish means you need a greeting. Many Spanish greetings are similar to those in English, like ‘dear’ (querido) or ‘hello’ (hola) but several are less familiar to English speakers. Note the greetings below, designated by whether they are used in more formal or informal situations. This is the standard non-specific introduction when you don’t know to whom you are writing. This introduction again does not use a specific name, but implies a distinct formal tone. Using estimado (esteemed) may seem a bit grand for some English speakers, but isn’t as formal as it might feel in English. It is much closer to saying ‘dear’ in English rather than esteemed, but should be reserved for more formal correspondence and also with someone whose name is known. 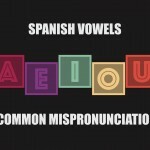 It can also be used with señora, or you can substitute in a first name for a last name to make it less formal. While Don has traditionally been more of an honorific title, it is now often used as a standard formal ways of addressing someone in Spanish. This is the closest to the direct translation of ‘dear’ in English. In Spanish, like English, it is followed by a first name or sometimes señor/señora + a last name. These are pretty standard greetings. One thing to remember is that in Spain trades is not strictly for around lunchtime. As a general reference, use dias until around 2pm, then tardes from about 2-8 p.m. Also, a literal ‘good morning’ (buenas mañanas) is not as often used, even if it is morning. Standard. No specifics needed here. Buenas seems to have been shortened from the slightly more formal buenas tardes. Since it’s been shortened it’s more slang/casual. Remember in Spanish there is no ‘h’ sound like we have in English, though they use something very similar to the English ‘hey’ that being ‘ey’. You can use this when you want to compliment or flirt with someone, but you can also use it as a term of endearment between friends and loved ones. It doesn’t necessarily have to be true either ;). To end a letter in Spanish, there are several different sign-off options. Some are used only to significant others, so be sure to take note. Saludos cordiales literally means cordial greetings, but probably more akin to the English version of ‘best regards’ or ‘warm regards’. Atentamente could mean ‘attentively’ in English, which exists, though is less common. Since atentamente is quite commonly used in Spanish, we’d say it’s more comparable to ‘sincerely’. A common formal sign-off which can be in the tú form, but for formal cases use the Usted form (su). This is a very formal way to say thank you (agradeciéndole). The formal ‘le‘ is the indirect pronoun for usted. And antemano literally means ‘before-hand’. Very commonly used since it’s a nice mix between being not too formal and not too casual. Even though this literally means ‘I am waiting for your news’, it’s not necessarily that you expect a response. Again this may feel a little demanding when you read literally – ‘I am waiting/hoping for your quick response’ – but again it’s a more causal way of saying that you hope to hear from someone soon. This one is very common and useful. Don’t try to literally translate ‘let me know’ into something like ‘dejame saber’, since that doesn’t work. You could say something like ‘hazmelo saber‘ (which we address later) but avísame is easier and more common. Avisar can mean to warn or to notify on it’s own. Very commonly used in both letters and speaking. This is one of those cases where a direct translation can be confusing, like ‘we see us soon’, which is strange. In Spanish this is a specific construct using reciprocal or reflexive forms to signify ‘each other’, which we don’t use the same way in English for this expression. The Spanish don’t use this one as much as we might use it in English, but it’s useful. Manter is reflexive and means ‘to keep’ or ‘to support’. 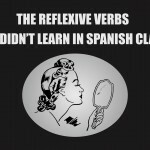 This common English expression is more and more common in Spain, but make sure to use the subjunctive (tengas) so you sound more natural. You cannot directly translate ‘have fun’ in Spanish as tener divertido. This is a very common mistake made by English speakers. Instead use pásalo bien, which means ‘to pass it well’. Cuidate means take care of yourself, using a combination of the verb cuidar (to look after or care) and the direct object te (you). But don’t mistake this for cuidado, another common Spanish phrase from the verb cuidar. Cuidado means ‘watch out’ or ‘be careful’. In Spanish they talk about besos, or kisses, a lot, but it’s translated more as ‘xoxo’ in English. It’s more common to talk about platonic kisses in Spanish, though only use it for people you are close with. Con cariño means ‘with caring’ in Spanish, and most closely translated to the common English refrain ‘with love’. Like in English, the Spanish version doesn’t necessarily mean its for someone for whom you have romantic feelings. Te quiero means literally ‘I want you’ while te amo means ‘I love you’. But they would both translate to ‘I love you’ in English, so don’t use it unless you mean it. 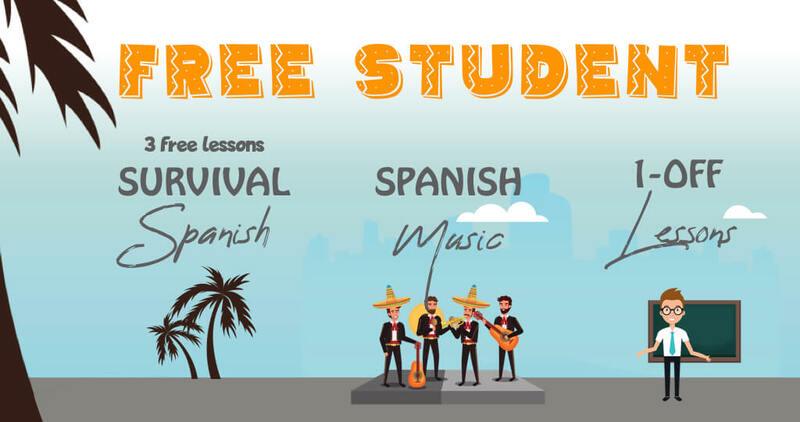 Now that you have your greeting and sign-off picked out, there are probably some phrases that you need for the content of your Spanish email. Things like, ‘keep me posted’, or ‘please find attached’ which are standard email lingo in English. Check out the most common phrases we’ve included here. And if you need something else, ask us in the comments! Again, don’t be tempted to use dejar for ‘let me know’. In Spanish we use hacer, and in this case in the imperative. For formal context use hágame + tiene. You can use this in more formal situations to say you’re available for any questions. This means in Spanish, ‘I hope everything goes/is going well’, using the vaya – the subjunctive form of ir. You may want to leave your number, just take note of the prepositions. To contact someone at … you use en el + the number. You can can also leave mi número de contacto …, just don’t forget the de. You can use the indirect object te following conocer for less formal letters, or le when speaking more formally in usted. Según is typically translated to mean ‘according to’, so the expression in Spanish is ‘according to our conversation’. Cargar in Spanish means to load or carry, and estar a cargar is to be in charge. So we use this verb when we speak of taking care of or being in charge of something. In addition ello or ella is a common way to reference ‘it’. Now it’s time to see it all in action. 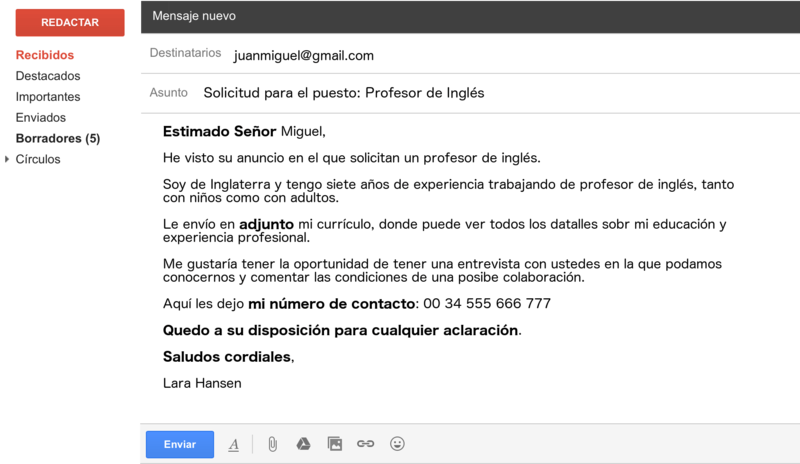 Spend some time with the example emails in Spanish below – one formal, one informal. The terms you’ve seen here are shown in bold. 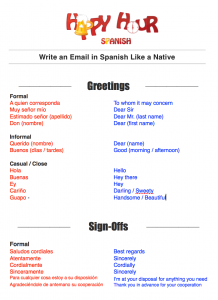 Do you use other Spanish greetings or sign-offs in your emails? 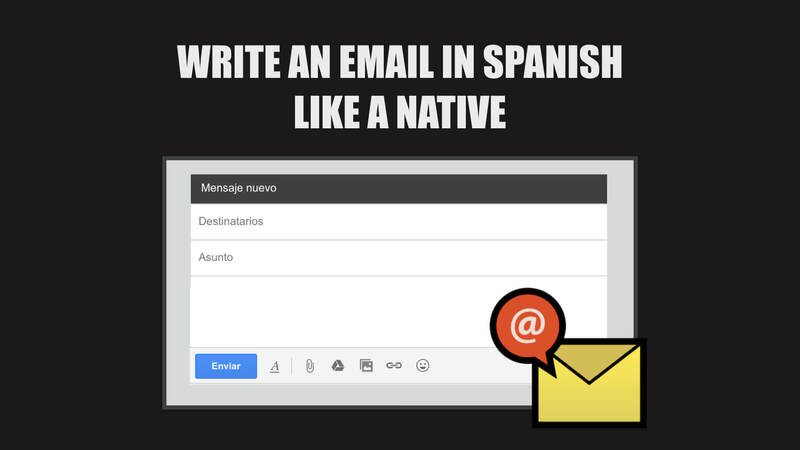 Or do you have a question about how you should say something in your email in Spanish? Ask us in the comments!